Virtual Office used to mean a business that offered a receptionist, office services and a conference room for consultants or sole proprietors who did not have their own locations. How it works? They paid a monthly service fee to use the phone and mailing address for their own needs and met with customers in the conference room to present a professional appearance. Today, virtual offices mean something different. 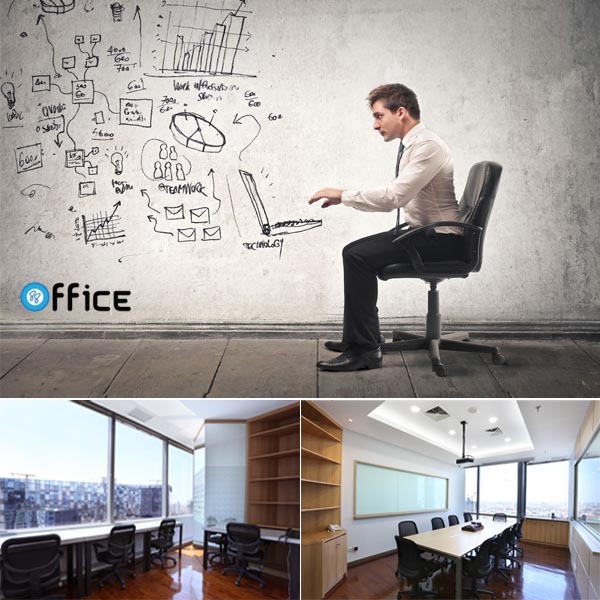 A virtual office (or virtual company) refers to a company that may not have a fixed location yet functions as a unit to provide goods and services to customers. It relies on the Internet for document exchange, video conferencing for meetings and cell phones so employees can keep in touch. The office's employees might work at home or in different cites and countries. Virtual offices do not incur the costs of leasing or buying a building, maintaining it with janitorial and gardening services as well as providing furniture and cleaning for the employees and customers. Employment expenses, such as insurance and taxes, are also reduced because a virtual corporation can hire independent contractors rather than employees. Workers can stay at home and yet manage business information with the same computing power they would have had at the office. They become more productive by avoiding the hassle of commuting while more successfully juggling the demands of work and home successfully. Because they are no longer being supervised closely by a manager, they are judged on the type of work they produce rather than how they produce it. Without the need to buy physical facilities and supplies, a virtual company can expand more quickly than a traditional one.